Introduce your passion and love for animals at your front door with our Animal Lover Deer Barn Floor or Doormat. This is a beautiful mat that can be used as a stand-alone doormat or can be paired with either of our indoor trays or outdoor trays. The indoor trays add cushion to your body for long standing periods. 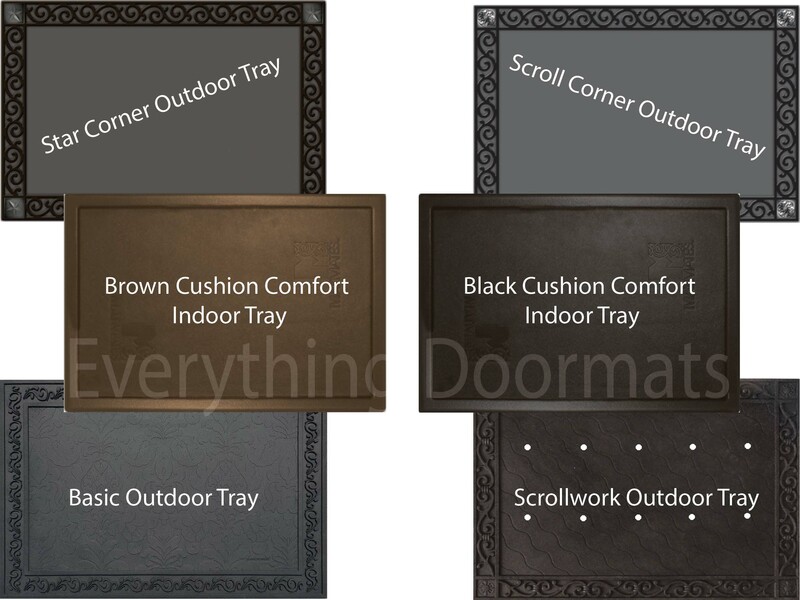 The outdoor trays provide extra flourish to your mat. Made with a recycled rubber back that is eco-friendly, your mat is slip resistant on almost any floor surface in or out of the home. Will endure almost any weather condition. Can be used in the foyer, by the fireplace, in a trophy room, and many other places. This Deer Barn Floor Mat is 18" x 30" when used as a stand-alone mat.